Council Chambers help to maintain law and order, as well as reduce squalor. A City Hall does much to maintain law and order, as well as reduce urban squalor. The Mayor’s Palace represents the final frontier in terms of ensuring that the people of a great city don’t forget just who is in charge. 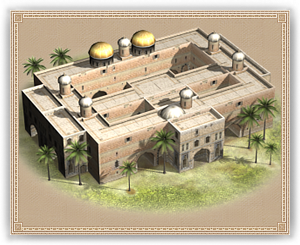 Though the Palace is where the Mayor resides within the city walls, the building is actually the property of the crown, and will serve as home and office to whoever is appointed to govern the city.